Simon & Schuster/Paula Wiseman Books, 9781481459815, 192pp. From the award-winning author of Eliza’s Freedom Road comes the powerful tale of a slave girl’s triumphant journey to freedom with her family during the Civil War. Twelve-year-old Callie Wilcomb and her family are slaves, and the Civil War gives them hope that freedom may be on the horizon. On May 23, 1861, the State of Virginia ratified their vote to secede from the Union. In Virginia, a window was opened where the laws of the land no longer applied. Because of the Contraband Law, slaves no longer had to be returned to their owners, granting them a measure of protection and safety. With the possibility of Callie and her family escaping their bonds forever, Callie is eager to learn and become educated and hopes to teach others one day. 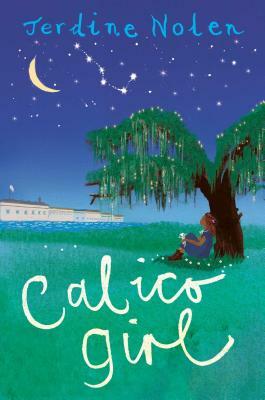 Through hardship and loss—with love and strong family ties—Callie proves that freedom is in her stars. Jerdine Nolen is the beloved author of many award-winning books, including Big Jabe, Thunder Rose (a Coretta Scott King Illustrator Honor Book), and Hewitt Anderson’s Great Big Life (a Bank Street Best Book of the Year), all illustrated by Kadir Nelson. She is also the author of Eliza’s Freedom Road, illustrated by Shadra Strickland, which was an ALA/YALSA Best Fiction Nominee for Young Adults; Raising Dragons, illustrated by Elise Primavera, which received the Christopher Award; and Harvey Potter’s Balloon Farm, illustrated by Mark Buehner, which won the Kentucky Bluegrass Award. Her other books include Plantizilla, illustrated by David Catrow, which was a BOOKSENSE 76 Selection, and Irene’s Wish, illustrated by A.G. Ford, which Kirkus Reviews called “delightful and memorable” in a starred review. Ms. Nolen is an educator and lives in Ellicott City, Maryland.